Reports can only be generated using the full street address in the following format (Street Number, Name, City, State, ZIP). Our system is not able to recognize legal descriptions, lot numbers, or parcel numbers at this time. 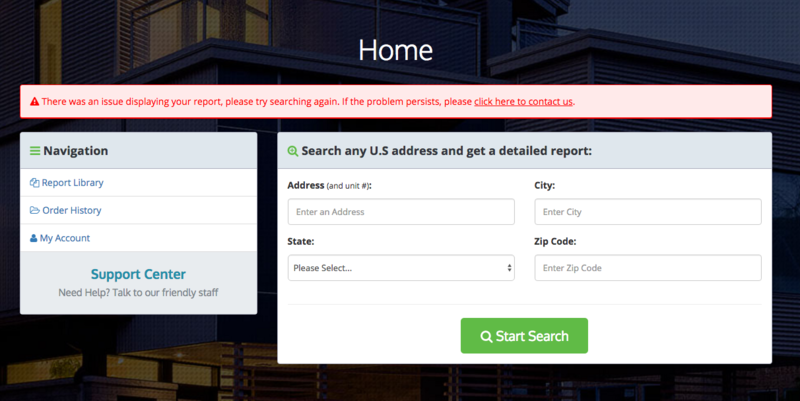 If you continue to have troubles obtaining your report, we recommend double checking the property address. Our Customer Support and Research experts are always happy to assist with any additional investigation, as well! Reach out using the Support button in the bottom right corner.